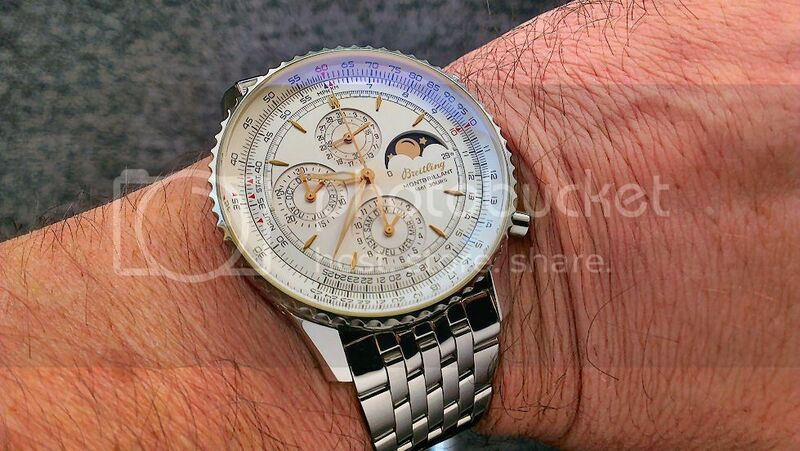 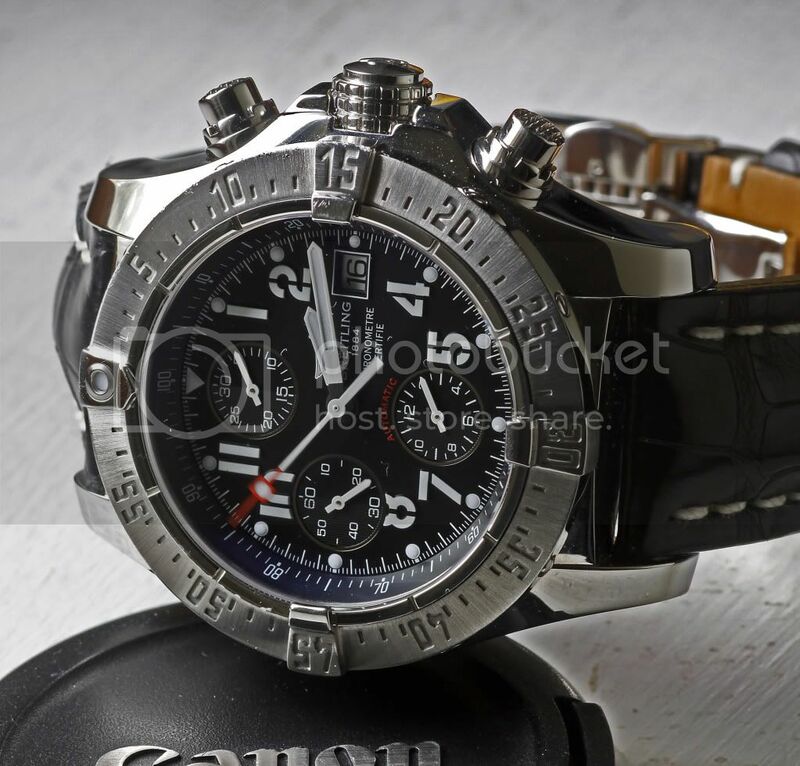 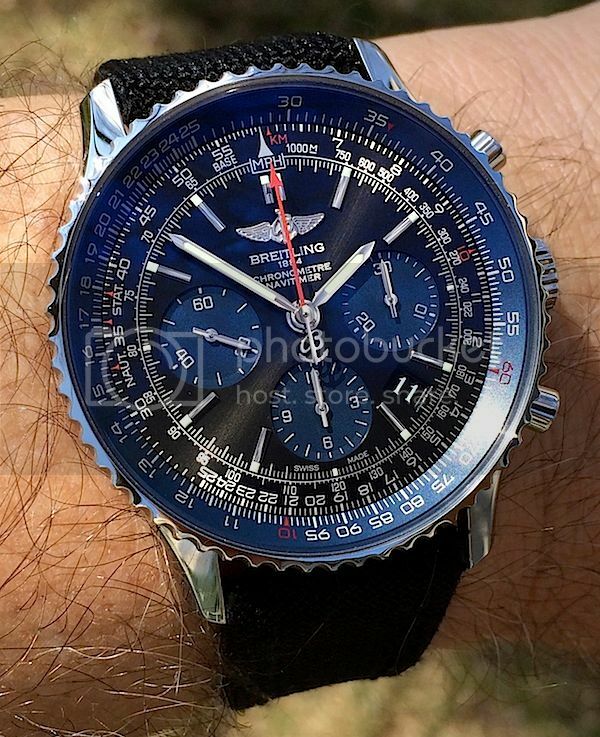 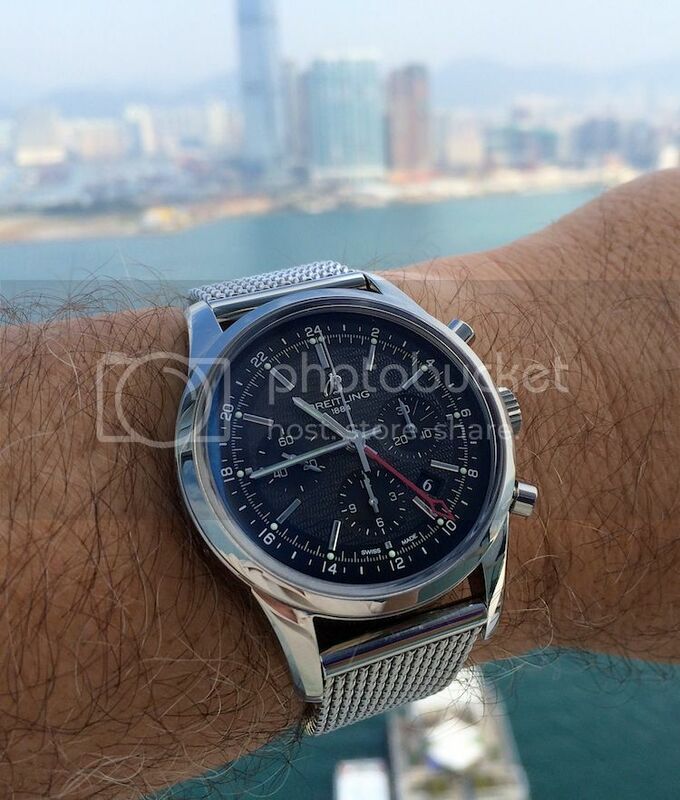 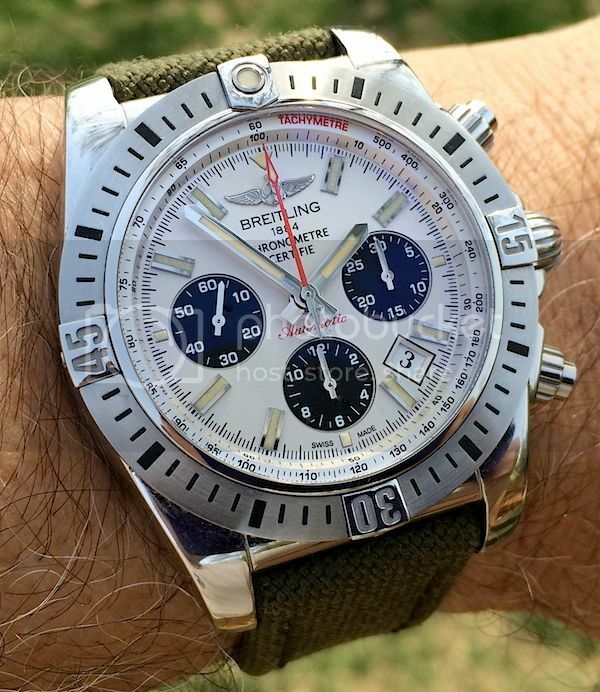 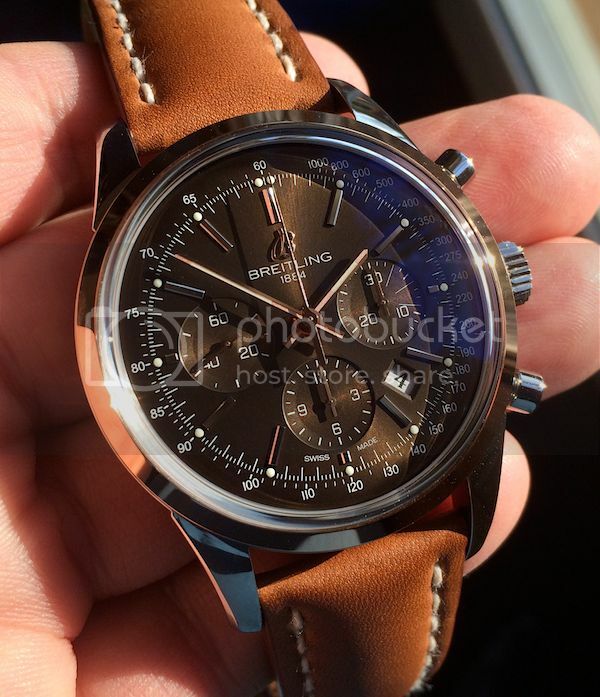 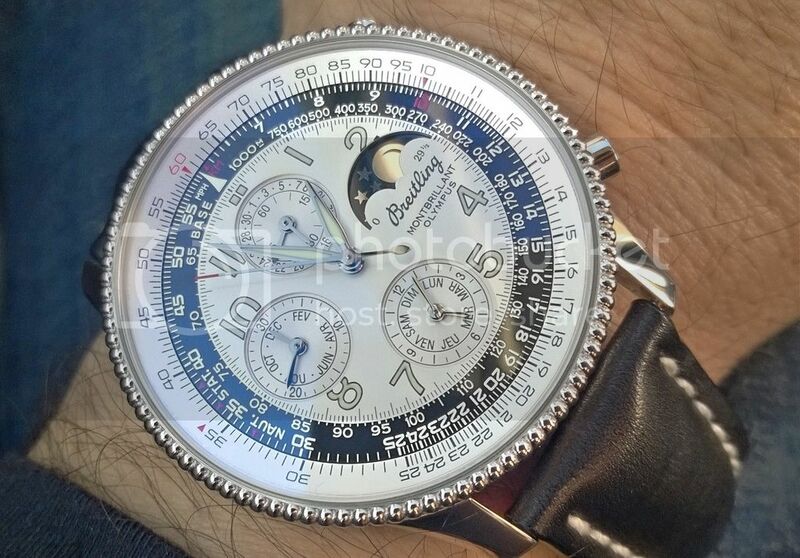 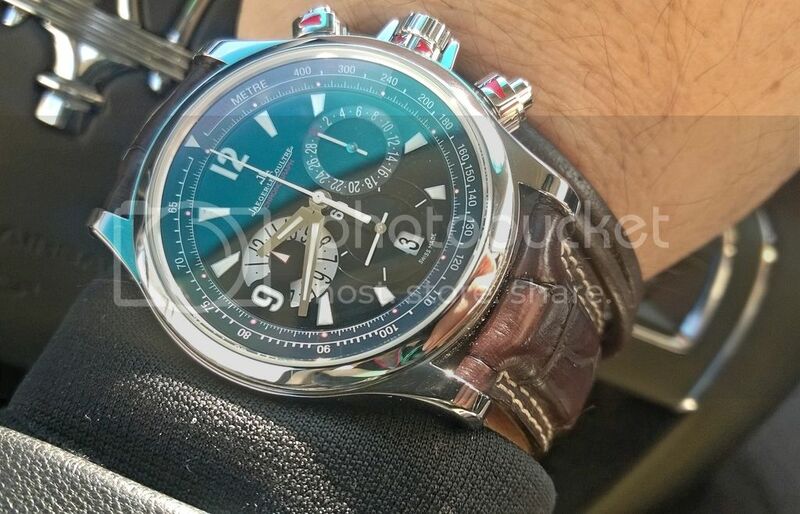 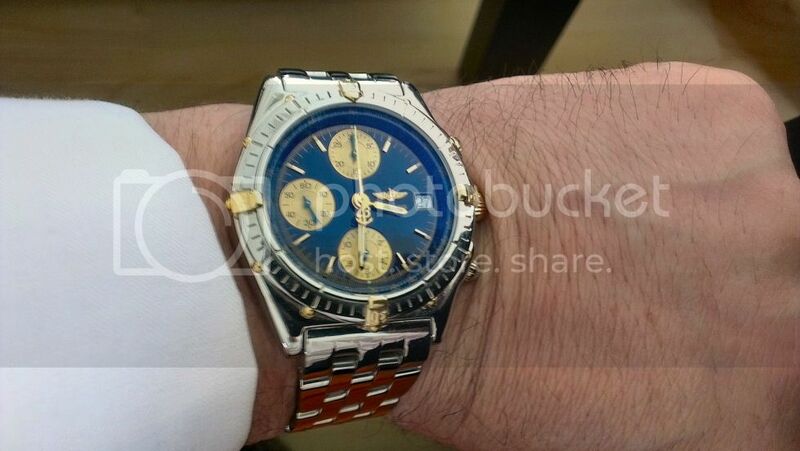 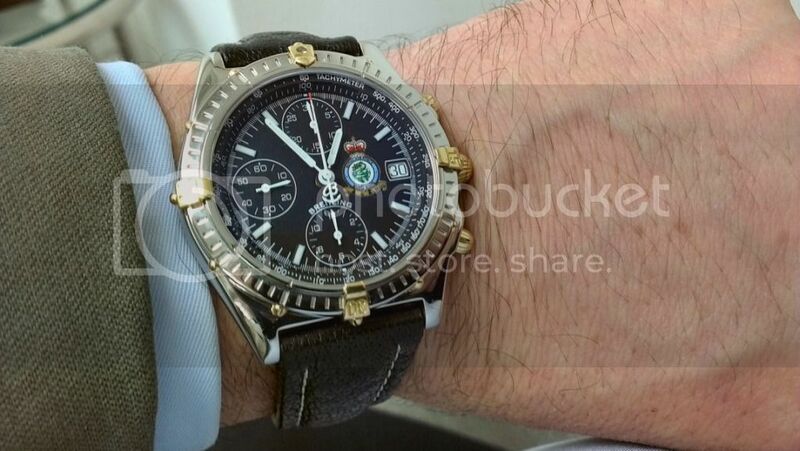 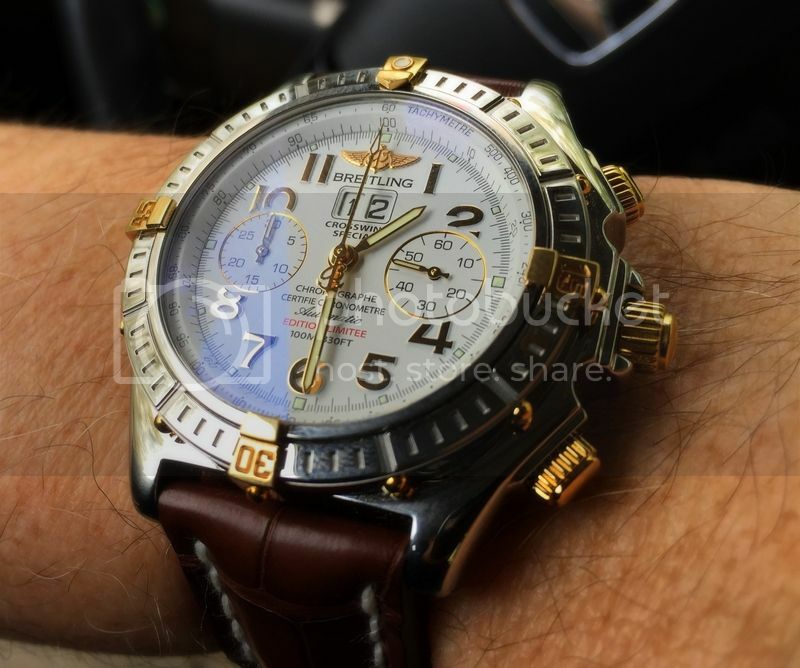 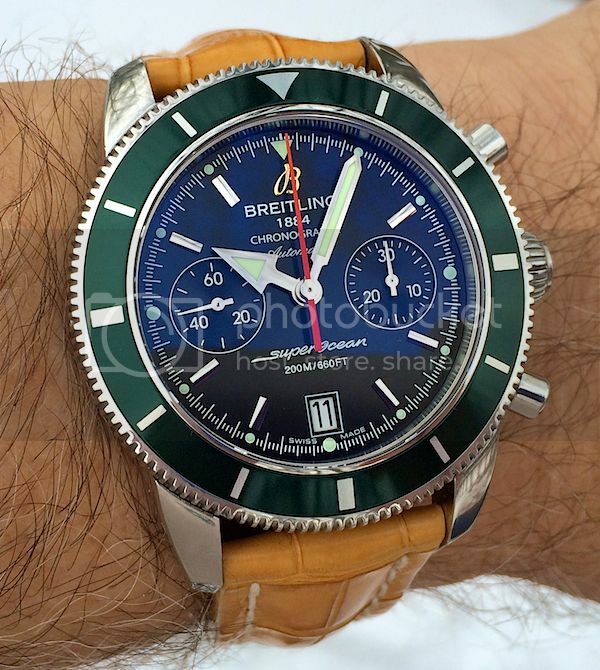 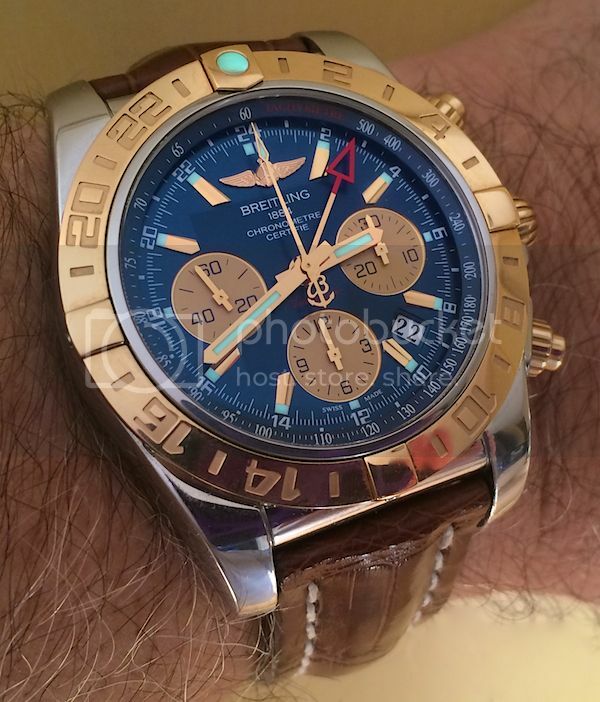 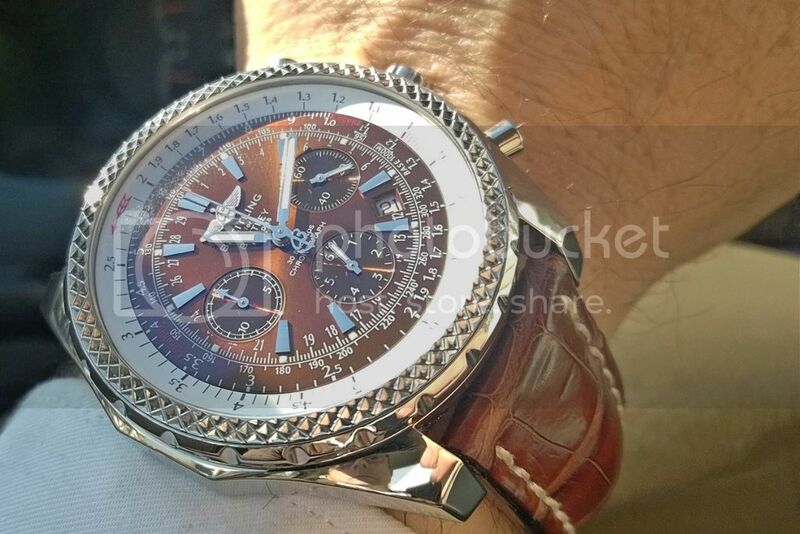 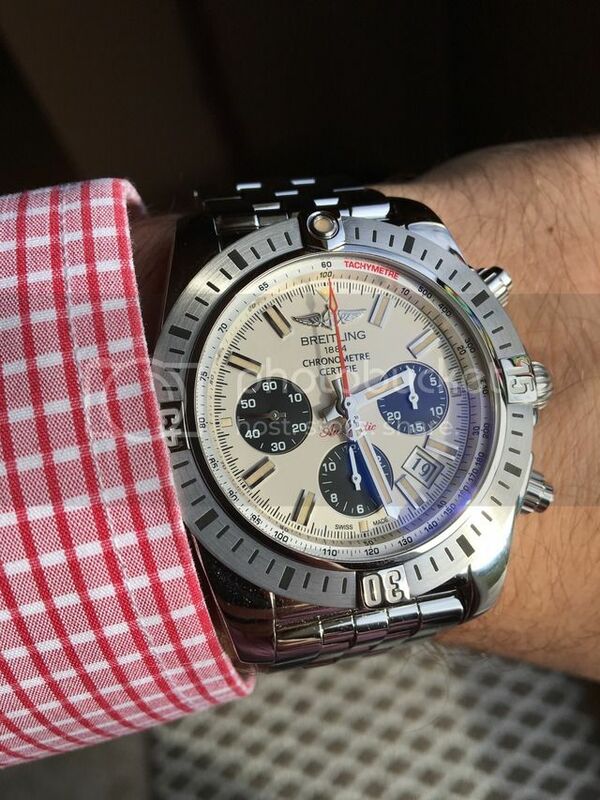 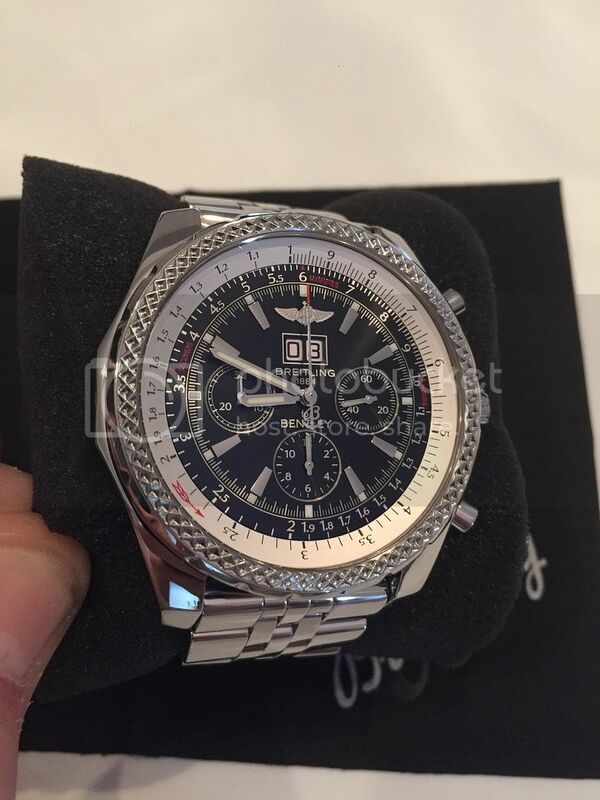 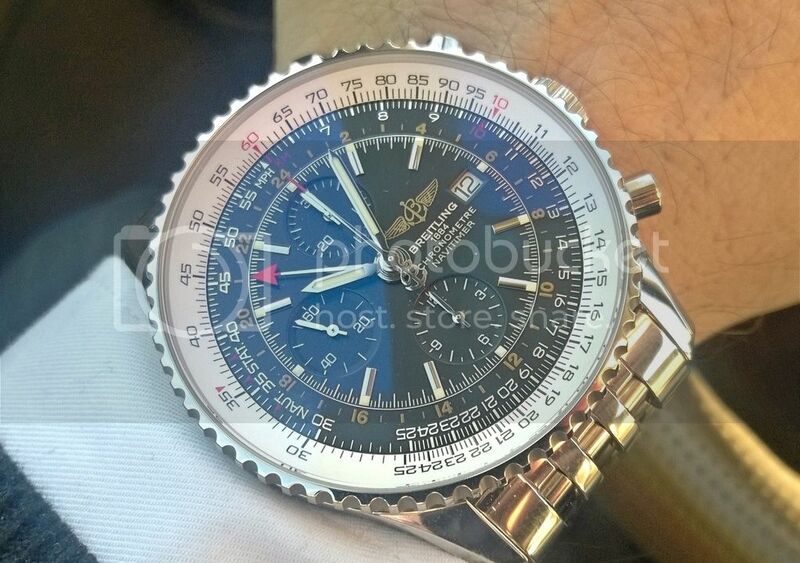 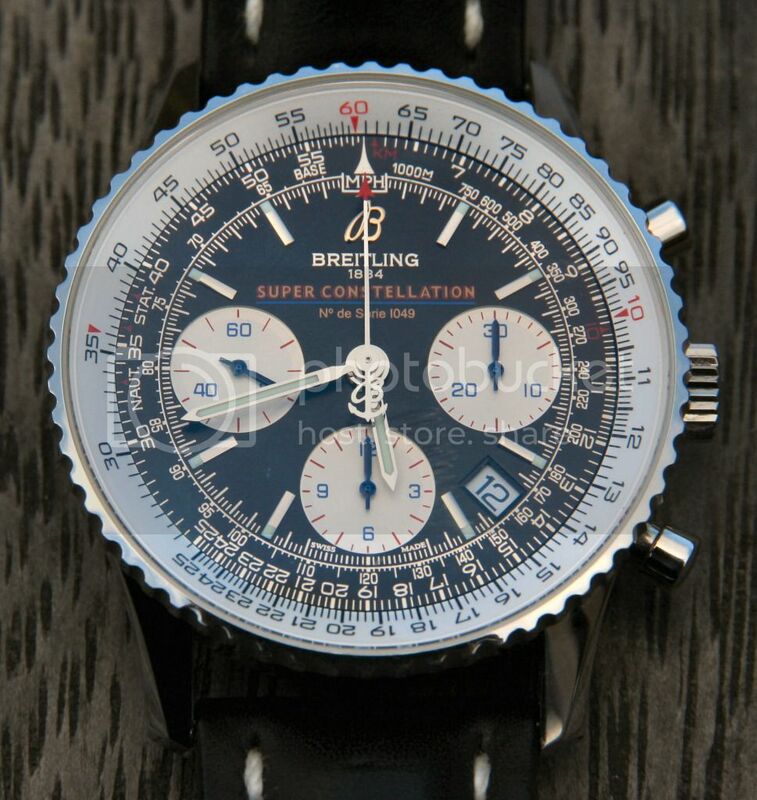 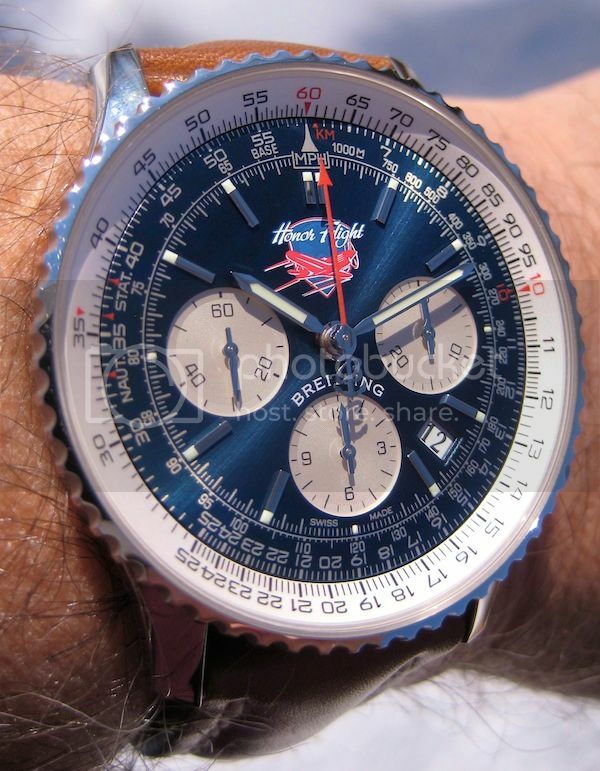 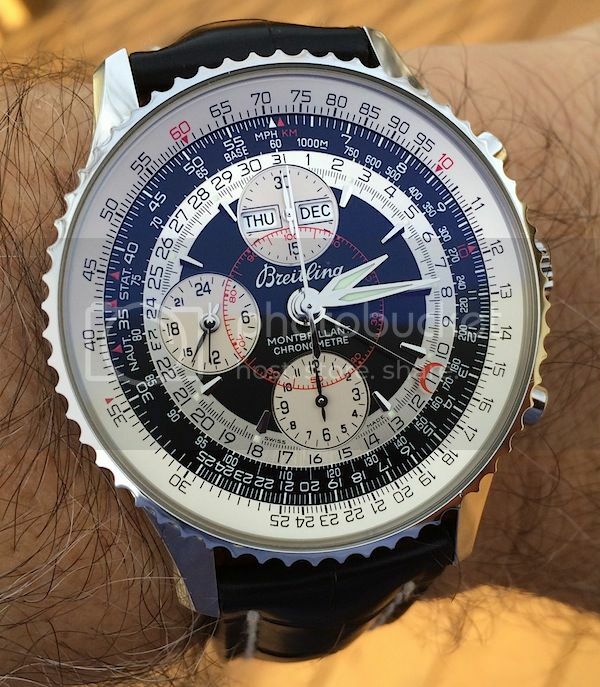 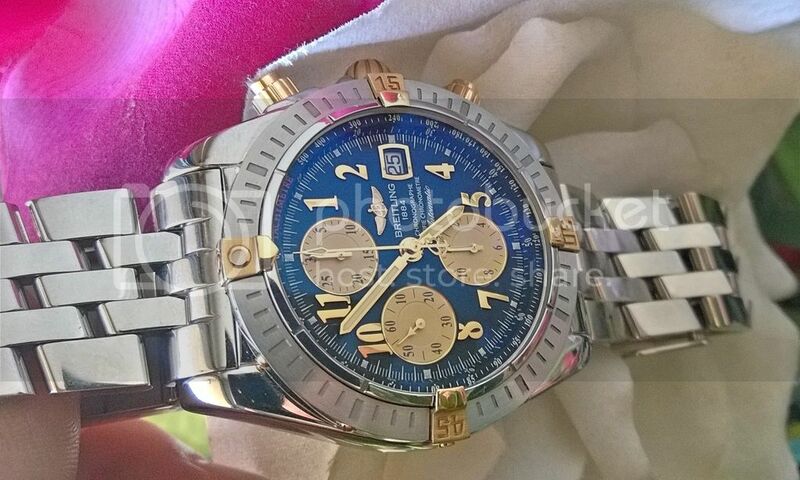 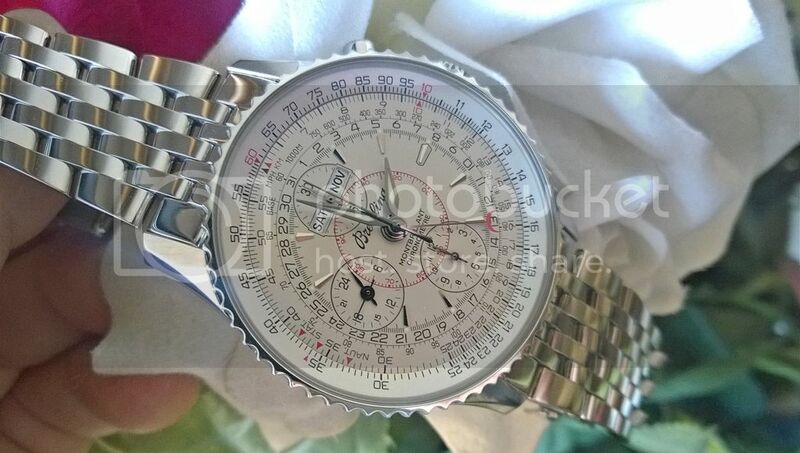 TimeZone : Breitling » Lets see some chrnos. 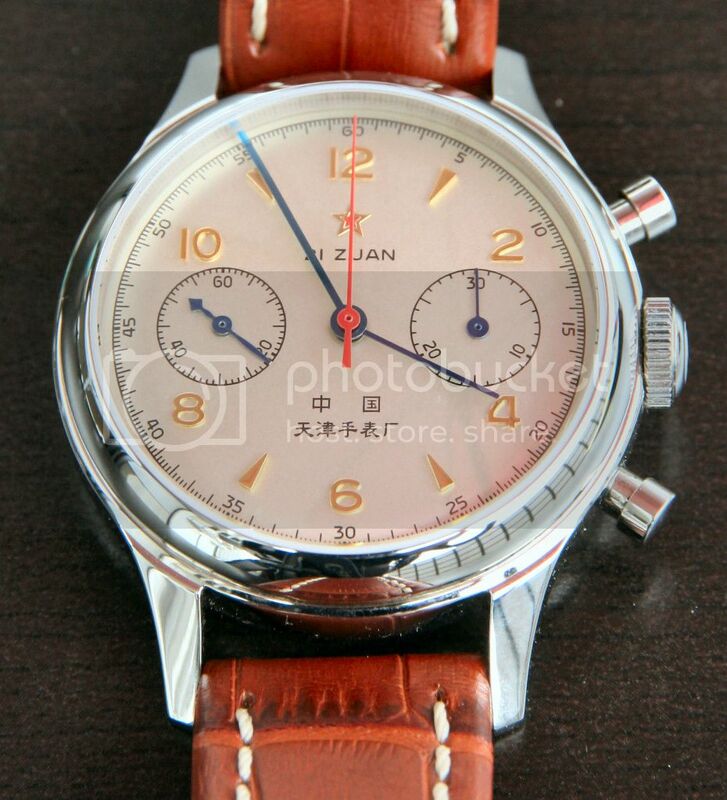 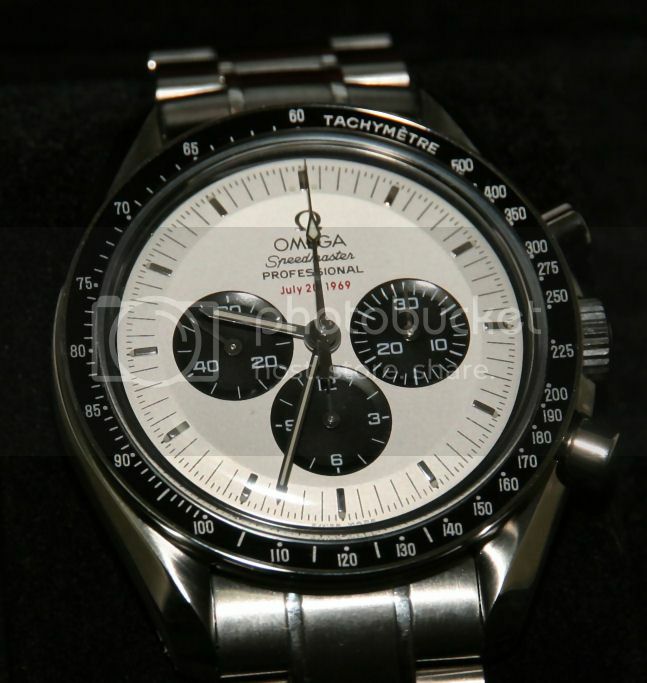 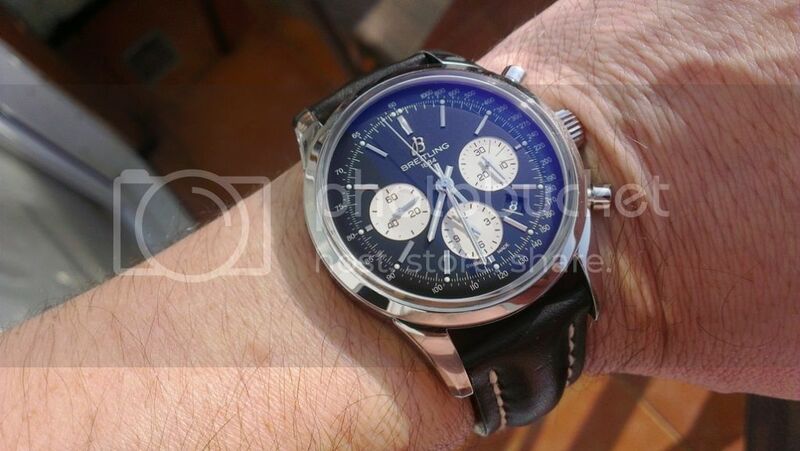 Let's see some chronographs people. 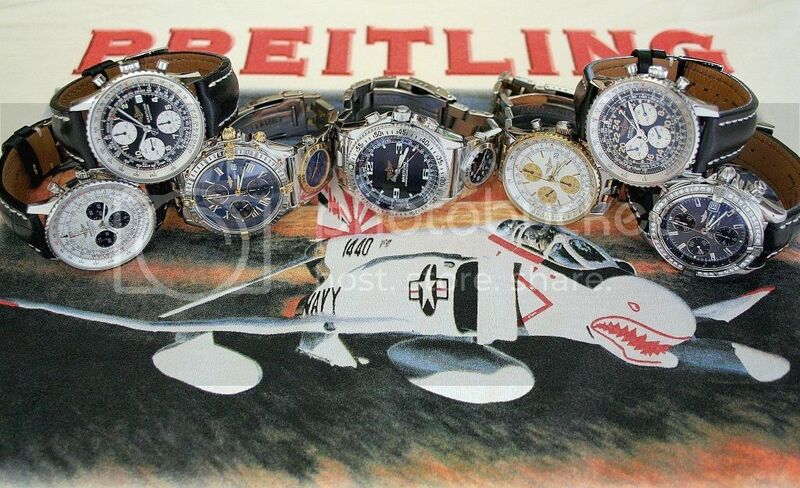 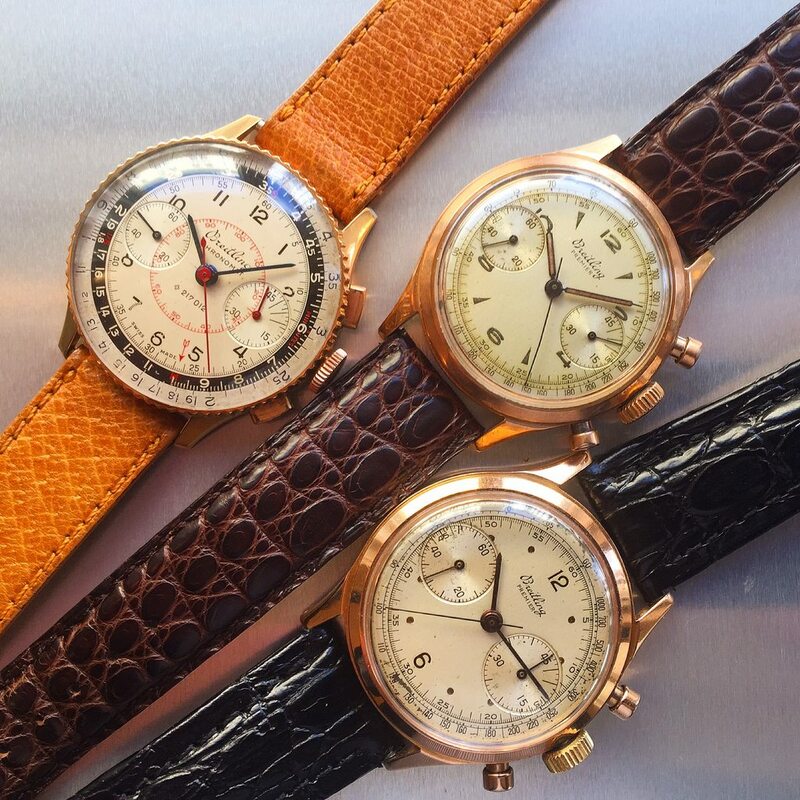 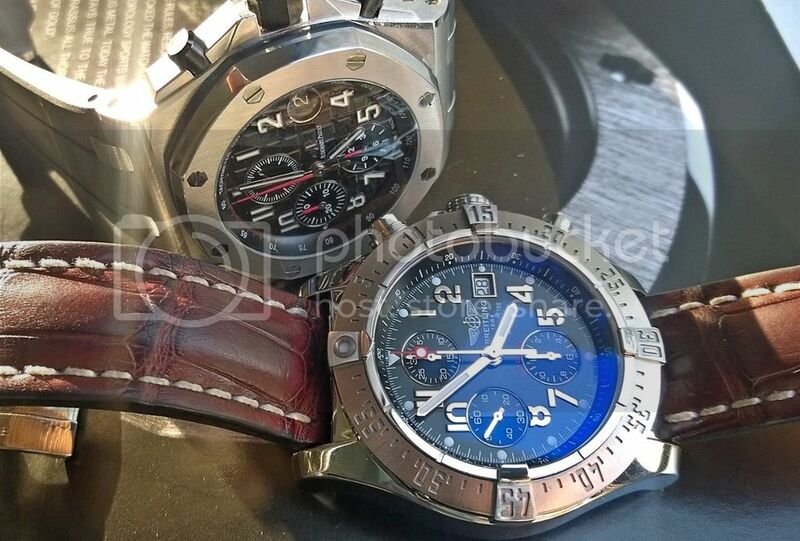 Alright, there are also a couple of non-Breitling orphans. 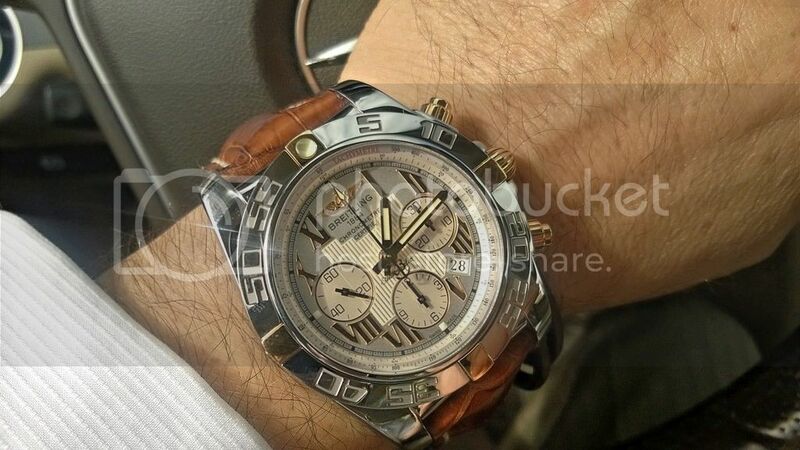 had some very hectic weeks, so not many chronos from me recently. 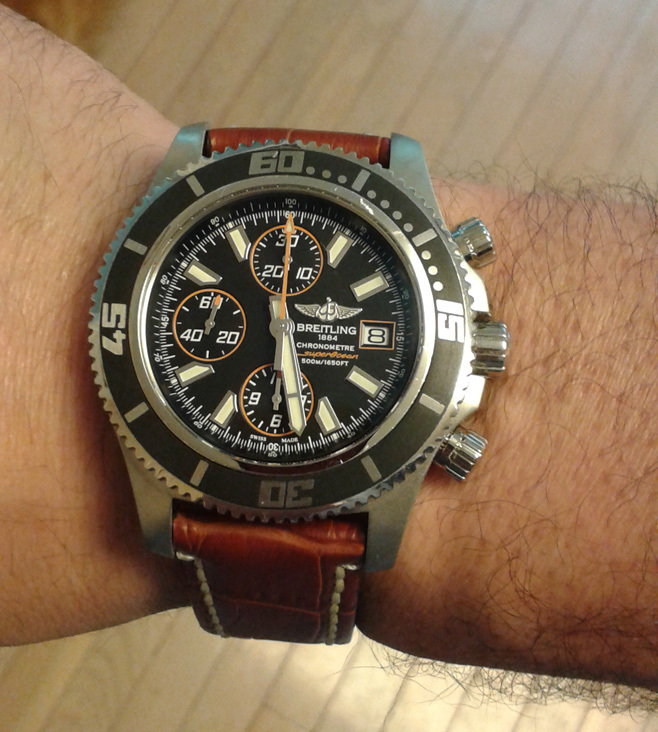 They look so good with leather bands! 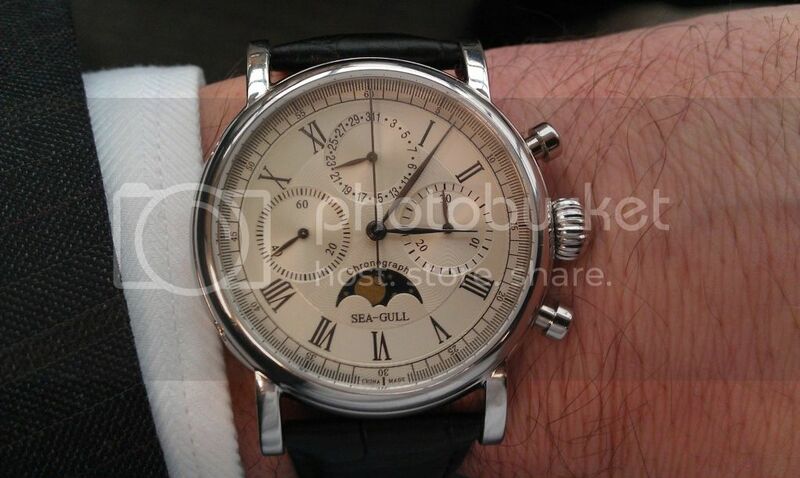 Love that SEA-GULL wessa :-)Here are a few more chronos. 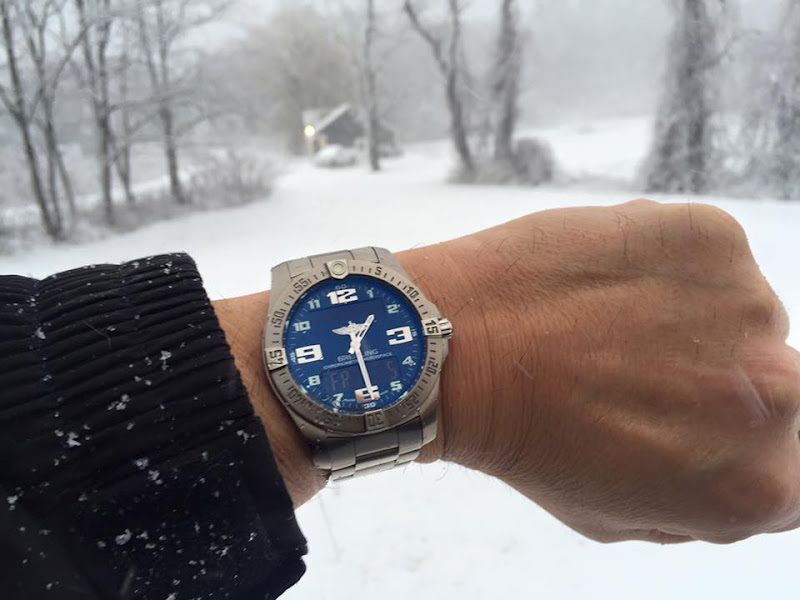 Wow -- great stuff guys! 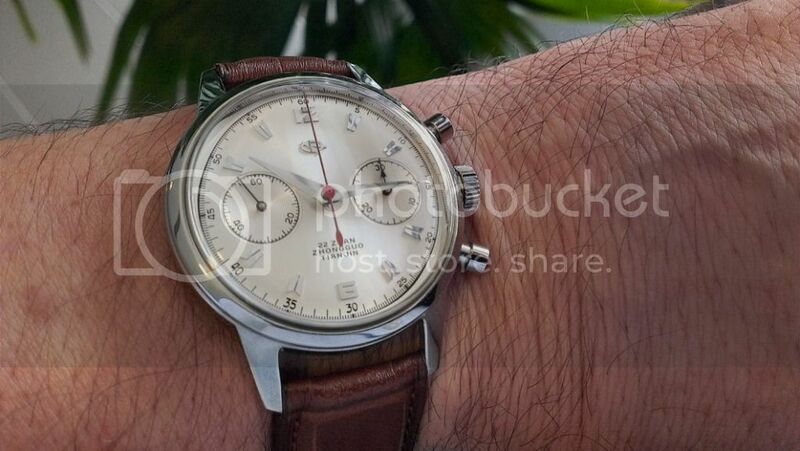 In the Stable: Rolex Submariner No Date, Omega Speedmaster 57, JLC Master Chronograph, Tissot Heritage 1948 Chrono along with a few Seiko's for good measure. 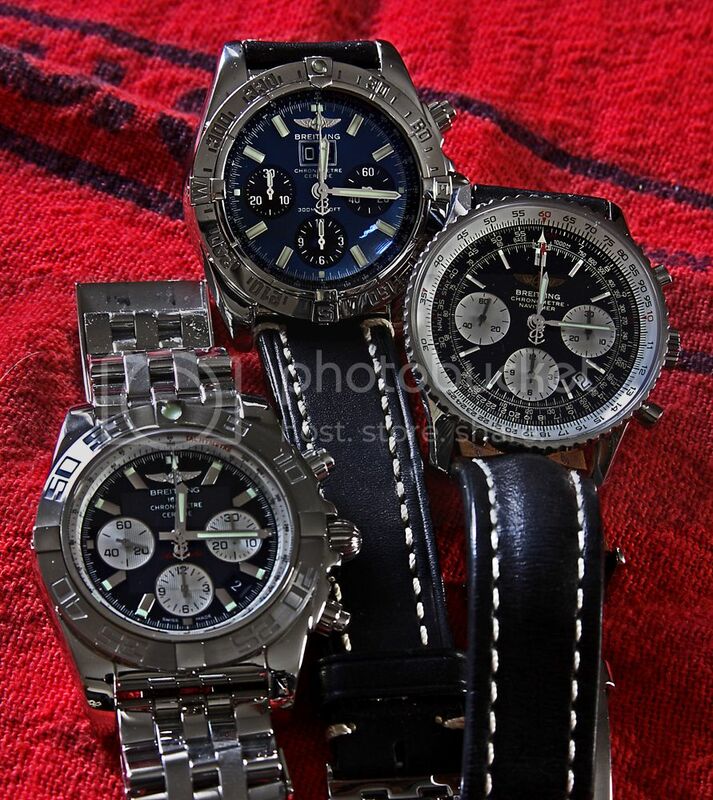 Lots have found new homes as I now prefer a reduced collection. 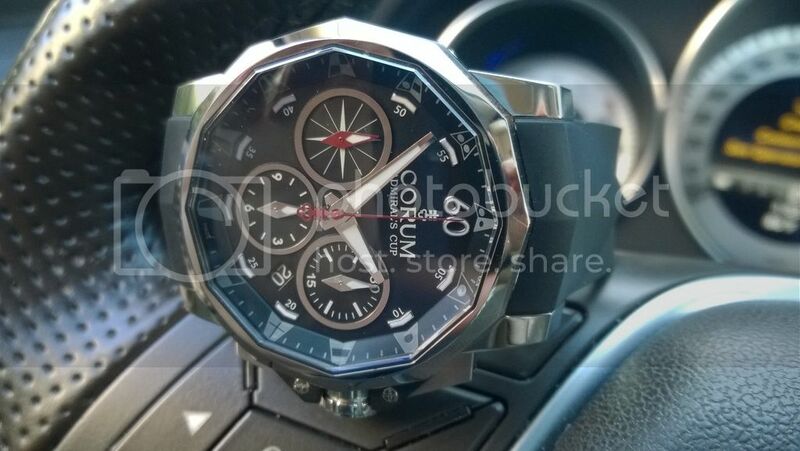 May have to pick up a Navi sometime. 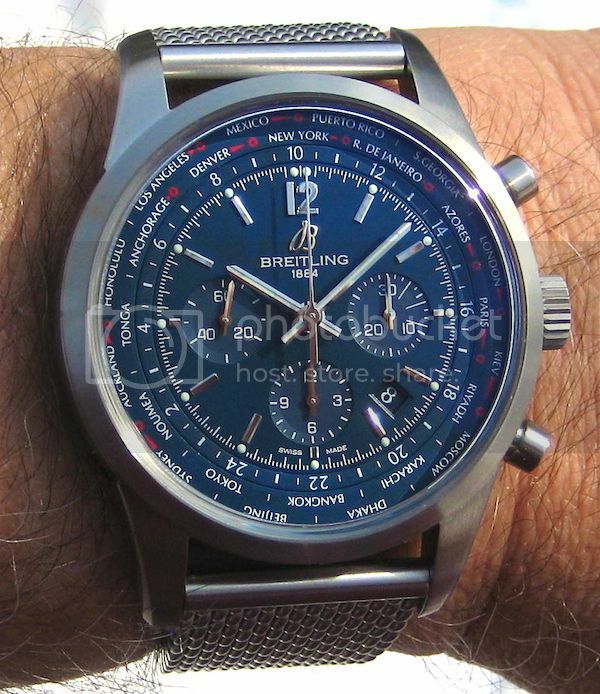 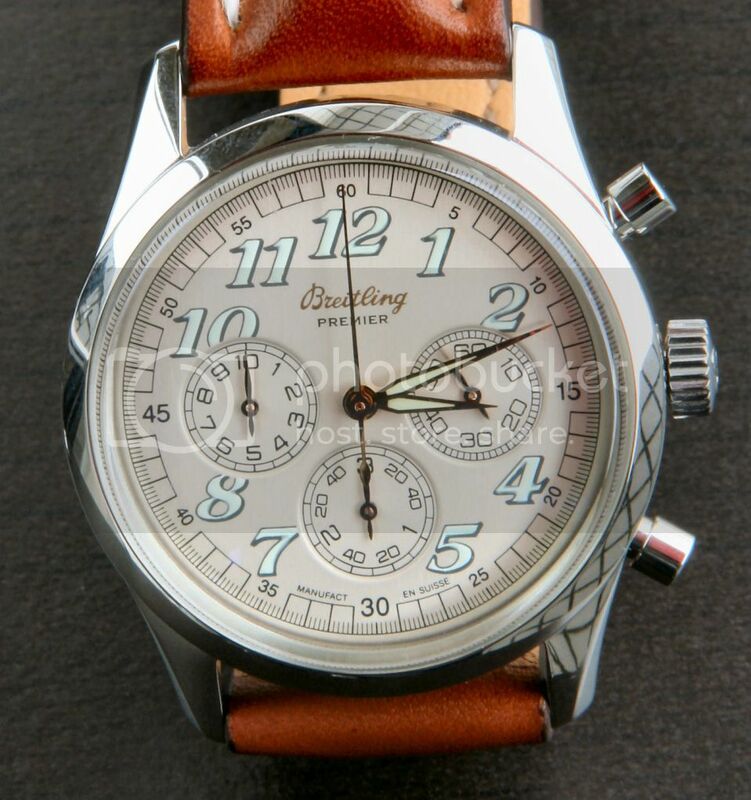 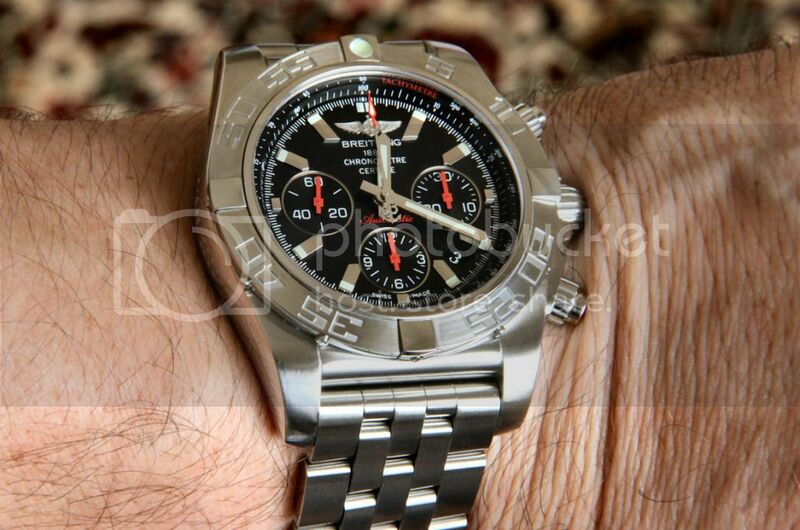 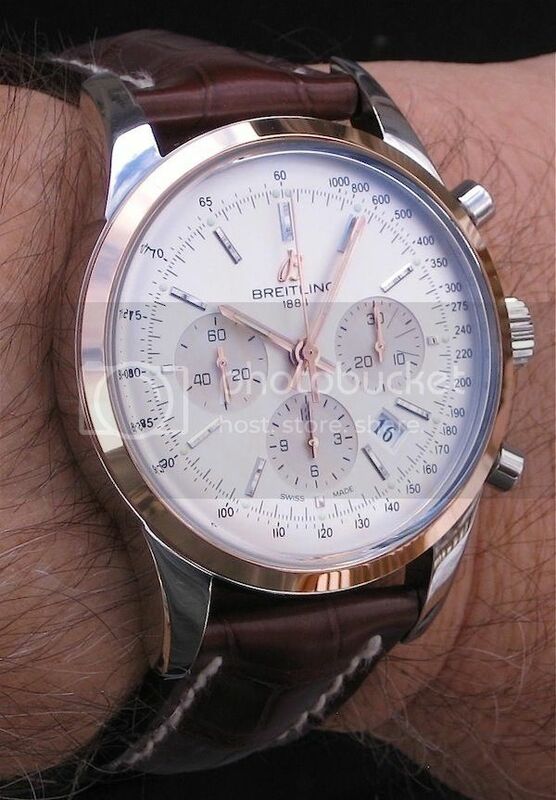 But also, I so often come back to Breitling for my daily wearer. 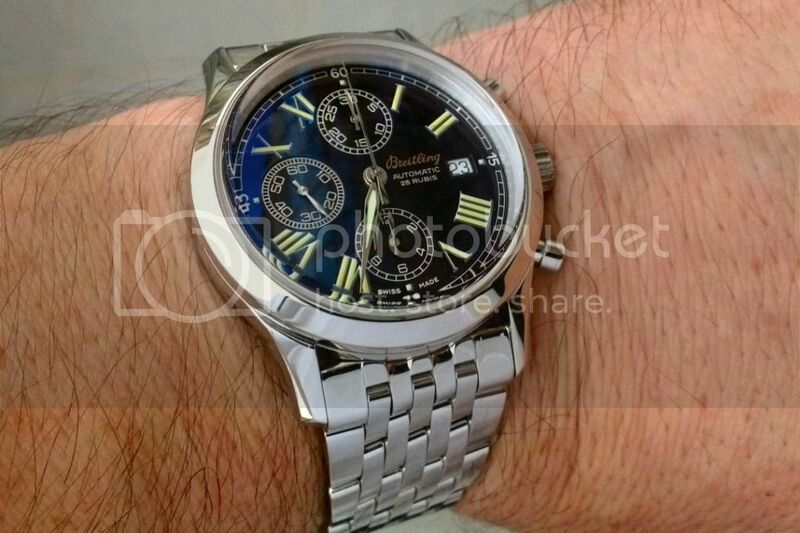 This one, f.x. 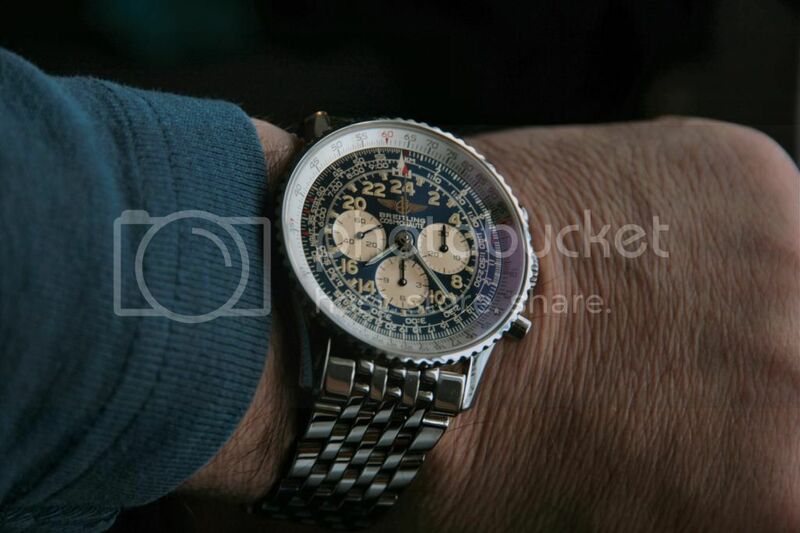 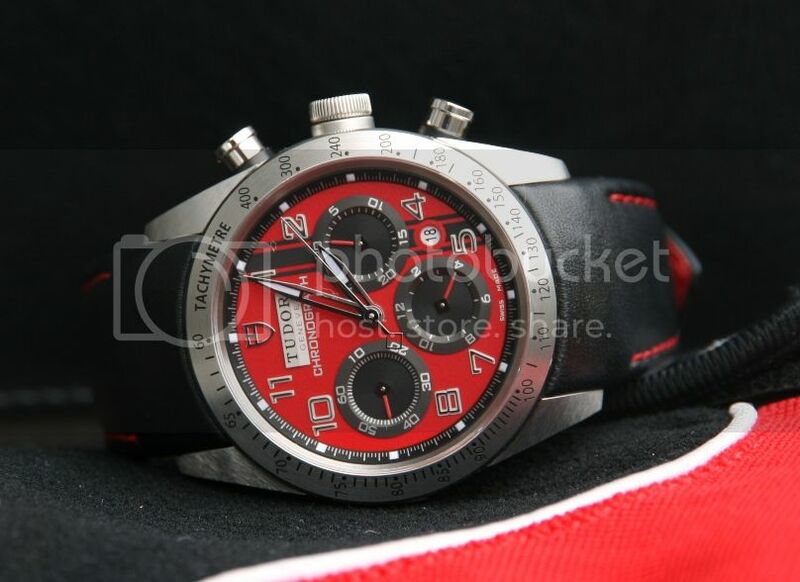 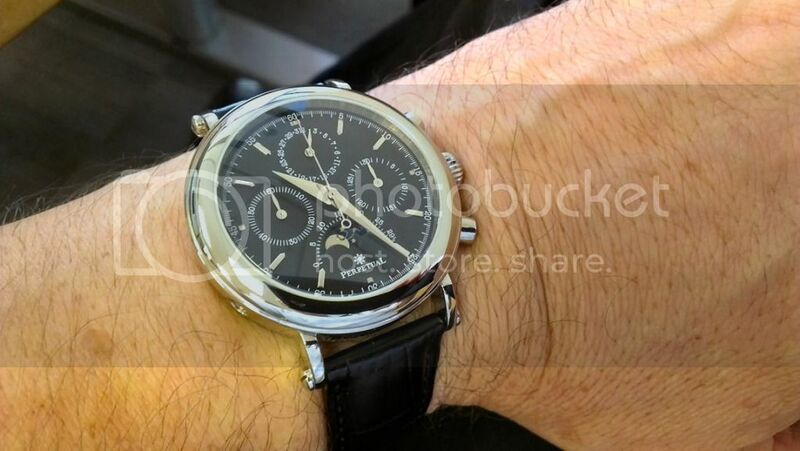 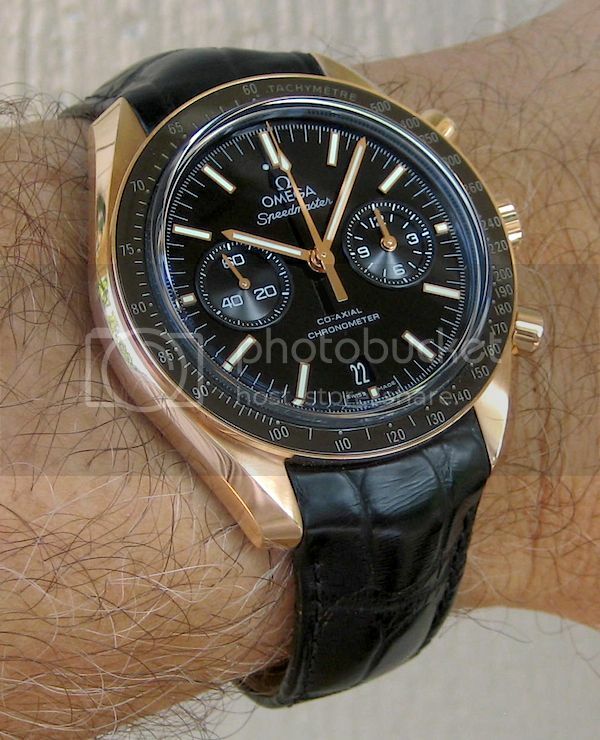 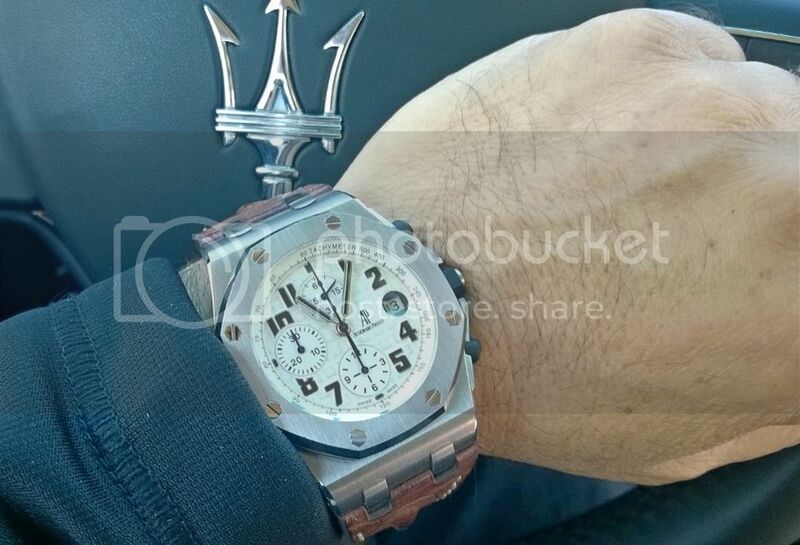 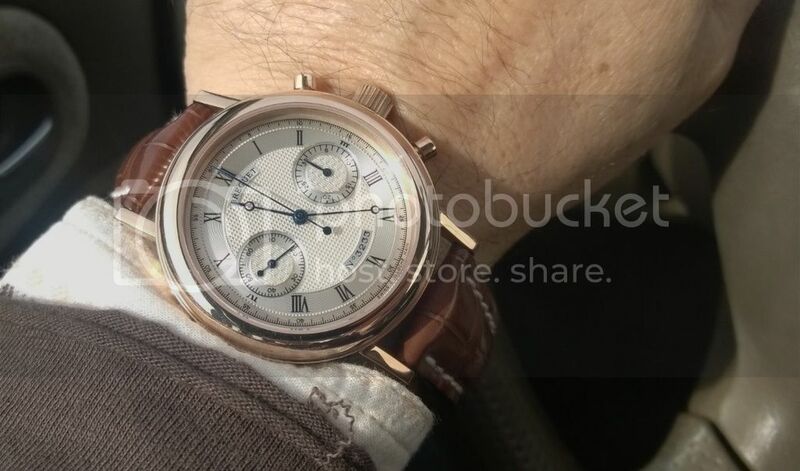 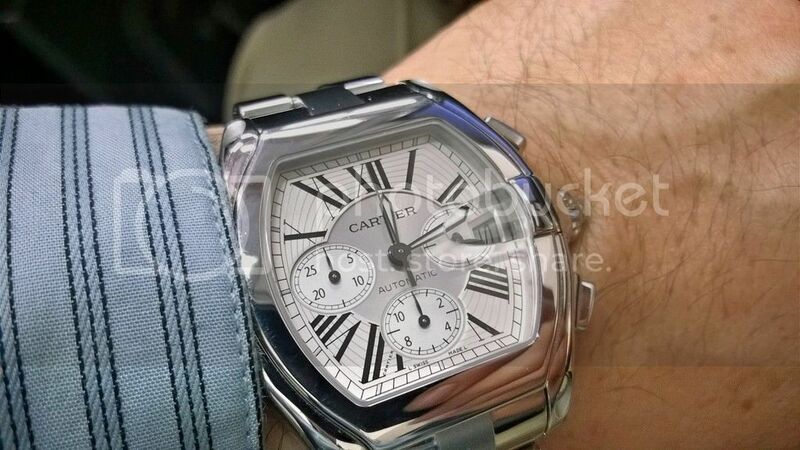 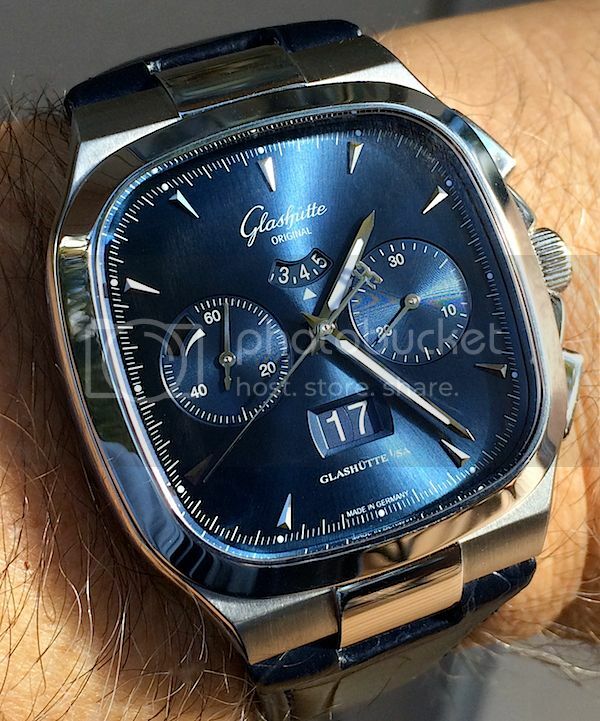 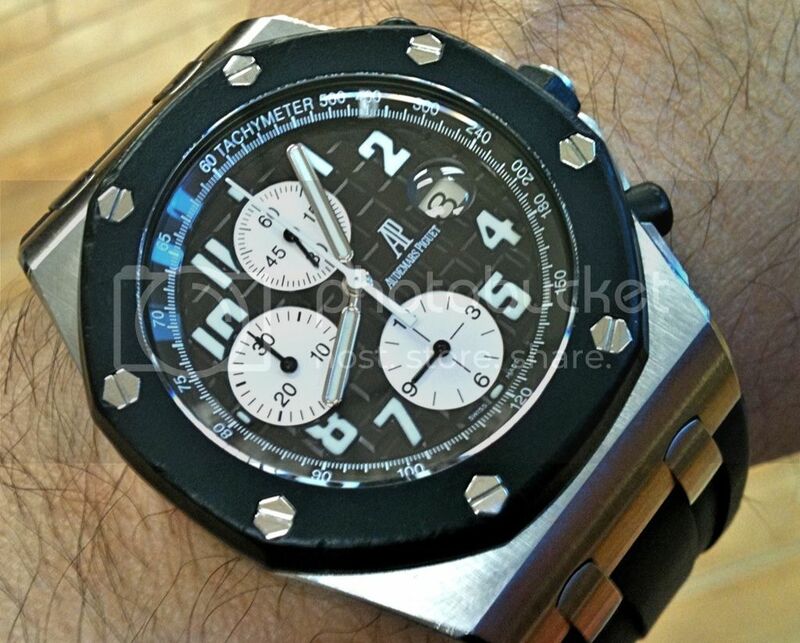 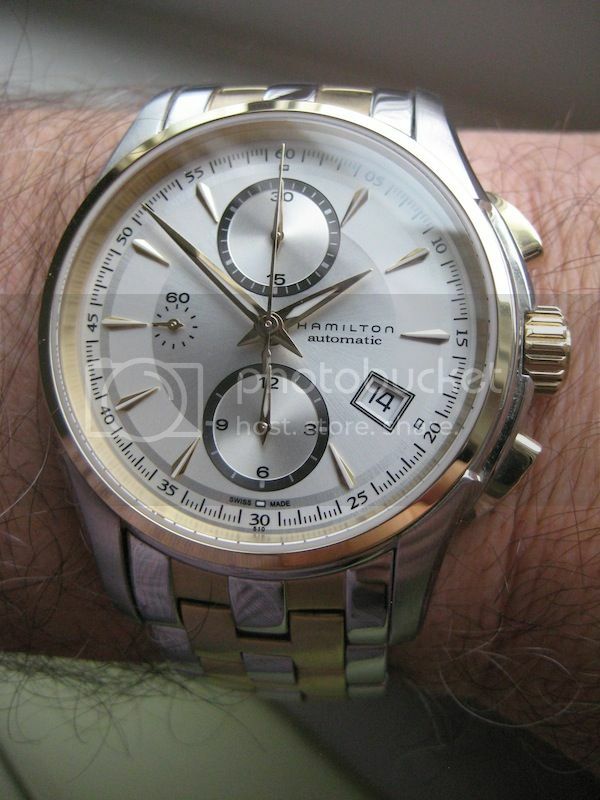 is an "oldtimer" for me now, but I like it's wrist presence and look.